"48 Hours" and correspondent Erin Moriarty investigate the horrors of stalking and how CBS' "NCIS" star Pauley Perrette is fighting to change the laws to protect victims in a special two-hour rebroadcast of "Stalked." In recent celebrity stalking cases, Los Angeles courtroom events have shined a spotlight on the personal dangers some Hollywood stars face and the surprising extent and expense of protection measures these celebrities are forced to take. Know the signs: Are you being stalked? "I hate to say that if you're a celebrity and you're famous it comes with the territory, but it does. The more people that are following you, the more fans you have, the greater the likelihood that there's going to be an unstable person in that midst," explained Kris Mohandie, a police and forensic psychologist who previously ran the Los Angeles Police Department's Behavioral Sciences Unit. Alleged stalkers of actresses Gwyneth Paltrow and Sandra Bullock have been in Los Angeles courtrooms during the past year. Testimony revealed the actresses use personal security teams, high-tech camera security systems, panic room safety doors, and even an attack dog with decidedly mixed results to secure their safety. Paltrow faced her alleged stalker in a Los Angeles courtroom in February 2016. Court testimony revealed that she has had a live-in security expert – with British military training – full time at her home residence -- a precaution only the wealthiest people could afford. Dante Soiu has a 17-year history of allegedly stalking Paltrow. In 2000, he was found not guilty by reason of insanity on a stalking charge landing him in a locked psychiatric facility for five years. After his release, Soiu began sending letters to Paltrow through her lawyers from 2009 until 2015 when he was charged again with this latest stalking offense. Terry Abbott, Paltrow's head of security, testified that he had traveled to Ohio in order to confront Soiu, and demand that he stop writing to Paltrow. While a typical stalking victim might not be able to afford to send a security expert across the country the effort nevertheless failed. Soiu continued to write to Paltrow undeterred. It was also revealed in court that Paltrow has a trained German Shepherd attack dog for security at her home. 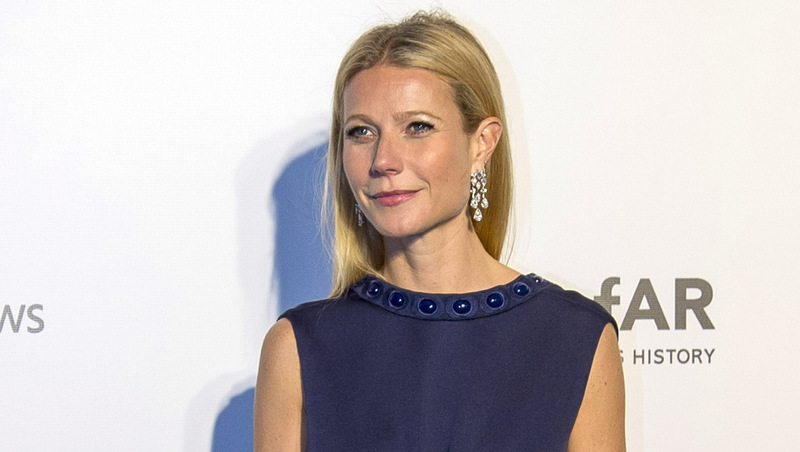 Soiu was ultimately found not guilty of stalking Paltrow in last February's trial. The jury foreman explained they did not determine Soiu intended to cause fear, even if the jury understood that Paltrow clearly experienced fear. A person must be determined to intend to cause fear under the California stalking law. Basil Stephens, CEO of Close Range International, a boutique security service in Beverly Hills specializing in stalking and criminal threats, says that it is not unusual for pop stars to spend $500,000 or even millions of dollars each year on security against stalkers. "I have five clients with estates in Beverly Hills where we staff 24-hour, around-the-clock, armed guards because of stalking threats," explained Stephens, who in 1995 shot and apprehended Robert Hoskins, Madonna's relentless stalker, after Stevens confronted and was attacked by Hoskins on Madonna's property. In April of 2015, there was a preliminary hearing for Joshua Corbett charged with stalking and burglary for entering the home of actress Sandra Bullock. A 911 call played in court demonstrated the terror in Bullock's voice as she called police to report that she saw an intruder brush by her bedroom door inside her home, on a June evening in 2014. "I'm locked in my closet. I have a safe door in my bedroom, and I've locked it, and I'm locked in the closet right now," gasped Bullock between heavy breaths, as she stayed on the line for 16 minutes until police arrived. Police testimony revealed that Corbett had simply jumped a fence and forced entry through a French door which had been inadvertently left unlatched to gain access to Bullock's home. Bullock had been attending a red carpet event earlier that evening to which her personal security expert had accompanied her and driven her home. Police described a scenario where the security expert dropped Bullock at her Hollywood Hills home and then drove off while unbeknownst to them Corbett had been lurking around the front gate of the home that evening. Police discovered that security cameras installed on Bullock's property had video of Corbett lurking at her home that day and during two nights prior – however, the video was not reviewed until after the break in. Corbett was carrying letters he had written to Bullock when police apprehended him inside the star's home. "I saw you come home after the AFI gala and only wished I was at the entrance to your heart when you came home..." he wrote, although he was apparently undetected near the entrance to her property. In the letters, Corbett expressed his love for Bullock with crude sexual references such as "want to f--- you so bad." Until he broke into her home, Bullock was unaware that Corbett had been obsessed with her. Despite Corbett's ability to stumble through Bullock's security measures the actress was unharmed, but celebrities are not always so fortunate. Singer Christina Grimmie, whose fame was rising after success on the television show, "The Voice," was shot and killed by a man obsessed with her at a June 2016 concert in Orlando, Florida. He had brought two guns and a knife to her concert. Grimmie's tragic murder was starkly similar to the 1989 case of Rebecca Schaeffer, a young actress whose stalker shot her dead at the front door of her Los Angeles apartment. Schaeffer's murder was the catalyst for the first of its kind 1994 stalking law in California – enactment of similar laws followed in every other state. "Christina Grimmie and Rebecca Schaeffer were both rising stars. Each in their own way. And they were both at kind of an early part of their ascent to stardom and understandably didn't have a handle on the risks that that created for them," said Mohandie. Friends of Grimmie are calling for a new law to provide enhanced security at smaller capacity music venues such as the one where Grimmie was killed. In the case of people who cannot afford celebrity level security against stalkers, security expert Stephens suggests investing in a quality alarm system, security doors and taking advantage of new and inexpensive video surveillance technology that sends pictures to your smart phone.